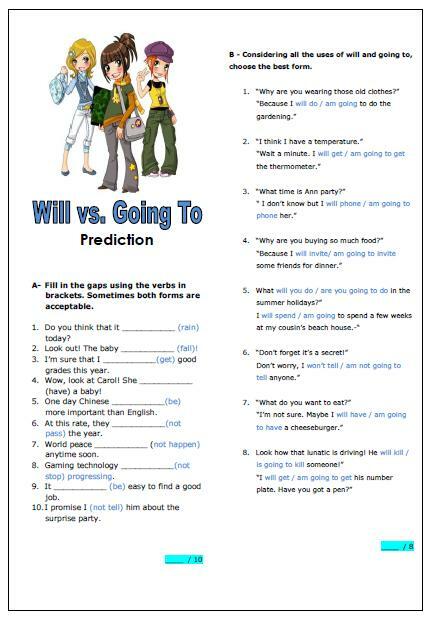 This is a very simple worksheet for teaching the differences between will and going to at intermediate level. There are 2 different activities in which students are asked to fill in the gaps using the verbs in brackets and considering all the uses of will and going to, choose the best form. The answer key is included.